All information listed in this section was submitted by the respective companies. Kenilworth Media Inc. and CSI cannot assume responsibility for errors of relevance, fact or omission. Ideal for parking deck structures, Radcon Formula #7 will seal existing and future cracks to prevent reinforcement corrosion. • comes with a 25-year warranty. The fact Radcon Formula # 7 does its waterproofing below the surface level, unlike a membrane, means traffic cannot damage it. By forming a gel in the cracks and capillaries, Radcon Formula # 7 can accommodate thermal stresses arising from temperature changes from night, and summer to winter, in all climatic areas. The rooftop of a parking deck is a critical area that specifiers worry about. 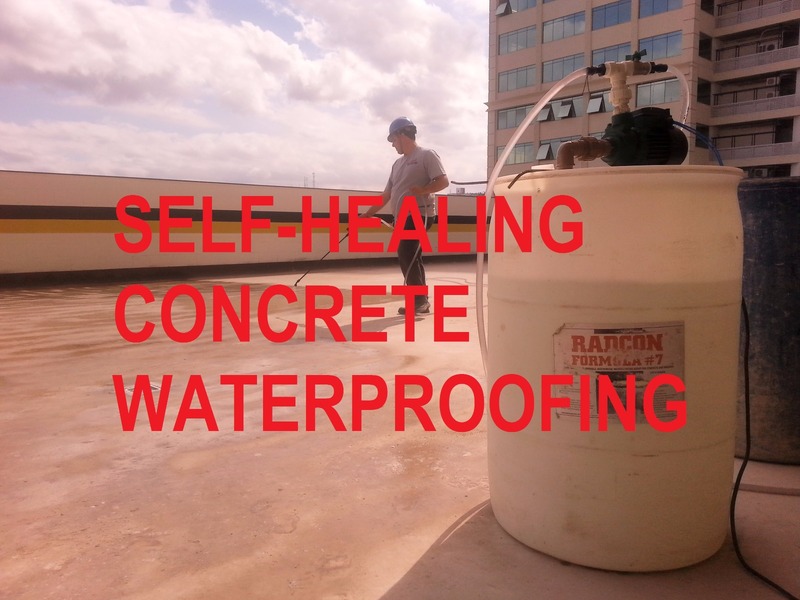 Radcon Formula#7 has reliably waterproofed thousands of roof decks in a multitude of climates. It is much faster and less risky to apply than traditional membrane systems. Once the reaction has occurred, the rooftop will remain watertight and not require maintenance in the future. Parking decks must be protected from the harmful effects of moisture and chlorides, but there is a growing preconception installing a traffic-bearing membrane is a one-way ticket to the garage equivalent of immortality. Pressure-sensitive adhesive (PSA) tape is actually a multifaceted and versatile product with usage going beyond its more understood “stickiness.” PSA tape technologies have properties for insulating a building from environmental events such as precipitation, vapor ingress, extreme cold and heat, as well as external noise. The first article in this two-part series lays the groundwork for this discussion on R-values and their use as a metric for thermal insulation performance. Now, in this second part, the author examines the real-world use of it as a gauge for ensuring insulation products function as intended. Owners of a shopping mall in Austin, Texas, wanted to improve the shopping experience and add to the high-class ambience of the facility with a landscape renovation and polytetrafluoroethylene (PTFE) membrane cover for the common shopping area. Out of the many types of building materials available to architects and specifiers, solid phenolic wall panels have become increasingly popular due to their durability, ease of maintenance, versatility, and code-compliance. As this article was being written, the country had just gone through one of the most active hurricane seasons on record, with numerous powerful storms making landfall throughout the Gulf Coast, Southeast and Southwest shores, and the Caribbean. Sign-up for your account with the Construction Specifier. Your account gives you unlimited free access to our e-book Collection, Newsletter Archives and our Digital Editions of the Construction Specifier. The Construction Specifier wants to hear from you! Click here to share your story. Construction Specifier wants to hear from you! Architectural materials and methods delivered right to your inbox.